RESCHEDULED FOR THURSDAY, MARCH 14! 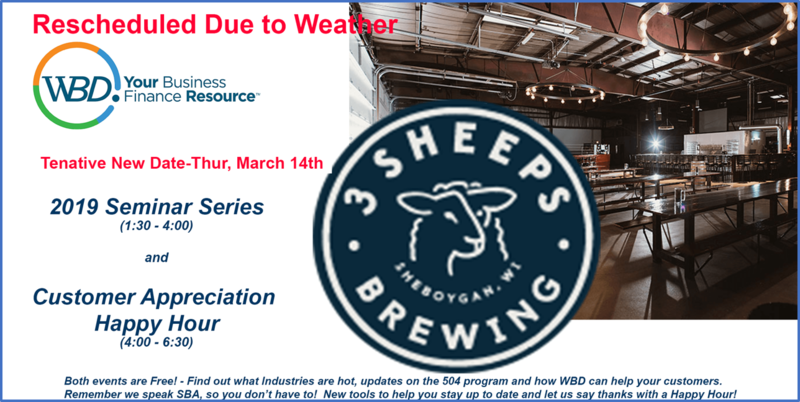 Join us at 3 Sheeps Brewing Company in Sheboygan! And click here to REGISTER NOW for the WBD 2019 Seminar Series – Sheboygan!